Statistics reveals that if IMO achieves regular power supply, 65% of all grounded industries will come alive again, while over 10,000 micro and small businesses will spring up within one year. To ignite this development and put IMO on the map of model states in Africa, Barr Aloysius Osuji of MAJA Party has concluded plans to develop Energy plants in the 3 senatorial zones of IMO state. This Energy power plants which will be generated from waste will be employed to power the industrial clusters he intends to set up boost IMO economy and created massive jobs. "Steady power supply is possible if only our leaders will shun personal aggrandizement and submit themselves and services in positions of authority to the will of the people". Being an industrialist who is in the business of converting waste to wealth, Chief Barr Aloysius Osuji has the capacity, competence, and character to REFORM IMO. With the current economic situation we find ourselves in IMO, we will not need a Politician to Govern IMO, but a selfless leader whom Barr Aloysius Osuji personified to Lead us from May 29, 2018. If your business runs on fuel or diesel to ensure productivity, Barr Aloysius Osuji is the right man for the job. If you desire to set up a micro or small business that will require power supply, Barr Aloysius Osuji is the man to support as the next GOVERNOR of IMO state. If you seek a job but keep hearing from Employers, "there is no vacancy", then, Barr Aloysius Osuji is the man to support to secure you a place and a future. Need I say more? 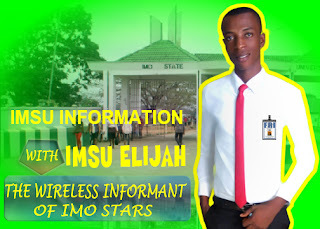 Join us to REFORM IMO, and secure a future for yourself.